Ahhhh, they are finally here- the Winter Olympics! I am a junkie when it comes to the winter games. I love them! It is a great time to take shelter and curl up with my crew and wig out on the games with good food and lots of hot cups of beverages. The last time the winter games were here I was just learning to knit and I made a basic garter stitch shawl that I still have. I made it in gold with the Lion Brand homespun yarn. That yarn turned out to be a nightmare to knit with and was 100% acrylic. Four years later I still went with a goldish yellow yarn but this time I went with an American Wool from Brooklyn Tweed. I really like the lofty quality and earthiness to the Shelter line. 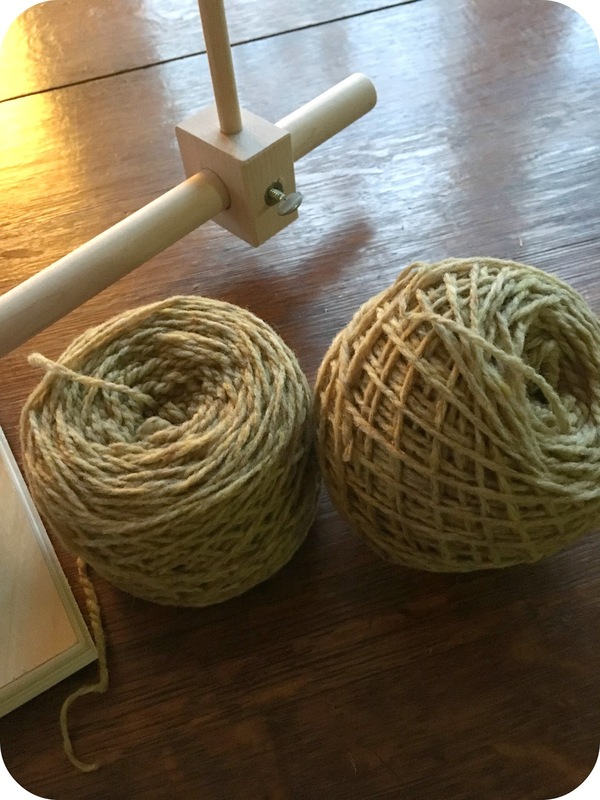 I have come a long way on my own journey in knitting and learning about what fibers I want to use, a.k.a yarn snob! 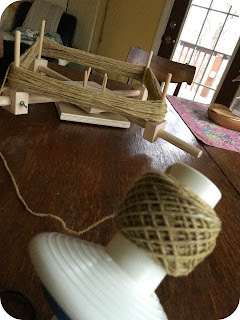 All kidding aside it is not just being a yarn snob; it is about being thoughtful about the impact of my hobby. 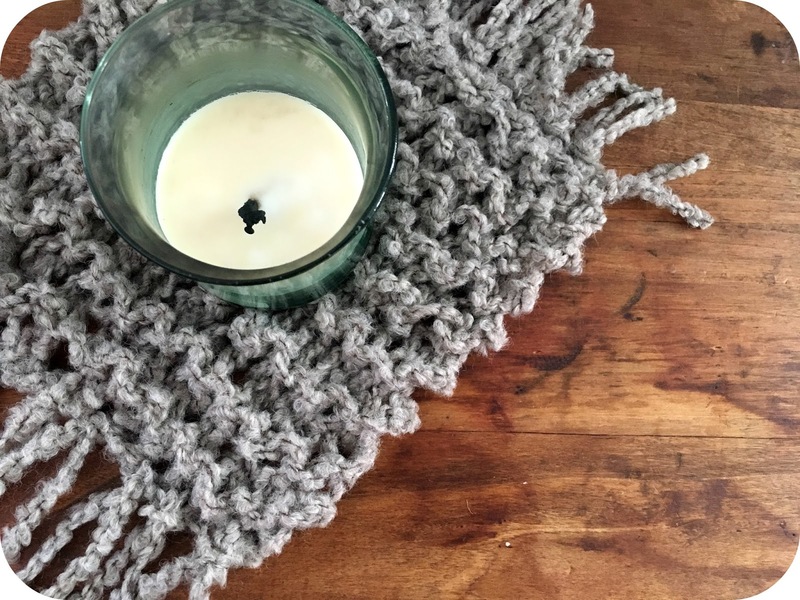 I like to use natural fibers and then I am really wanting to thoughtful about sourcing those natural fibers. Brooklyn Tweed is committed to an American sheep to skein wool yarn sourced from Wyoming Targhee-Columbia sheep that is dyed and spun on the east coast. 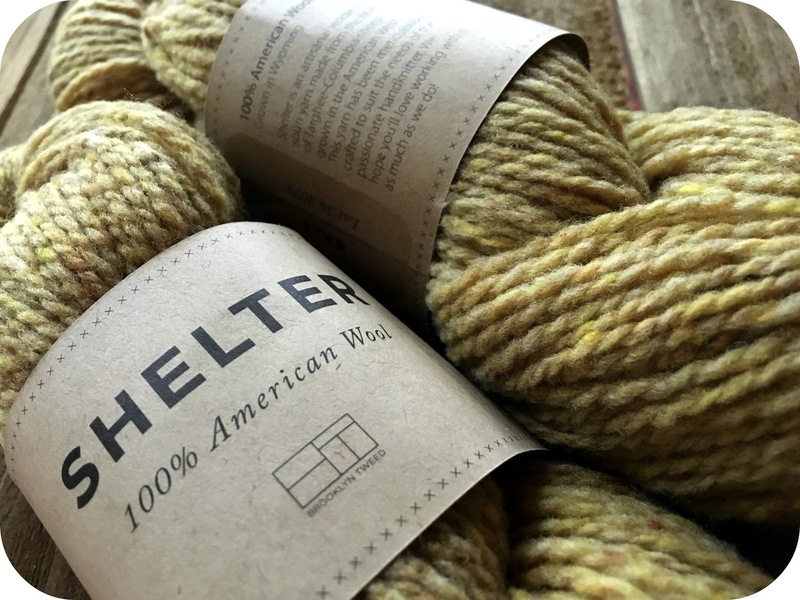 Shelter is a lovely medium weight yarn that is unbelievably light. 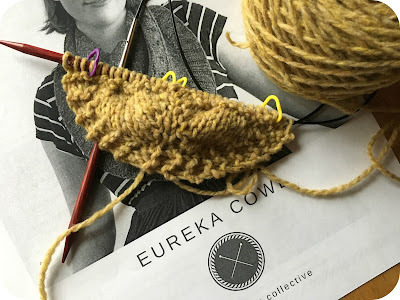 I chose the Eureka Cowl pattern that had caught my eye in Instagram last week. I have never been very good with setting up shawl like patterns so I practiced a little before casting on. So far so good though I was not really clear on counting out the popcorn stitch section nor too sure if that felt like me so I am just alternating the stockinette and garter sections. Though I have really been drawn to pink lately and thought I would make it pink and I am super happy that I went with the Bale color- I still really love yellows in yarn! I plan to get some rows in today before my crew makes a Korean taco feast for my family's shared Sunday suppers that we have been doing. Seriously it does not get too much better than good shared food, family, Olympics, and knitting on this cold February day. Did you catch that gold winning snowboard slopestyle run by Red Gerard last night? 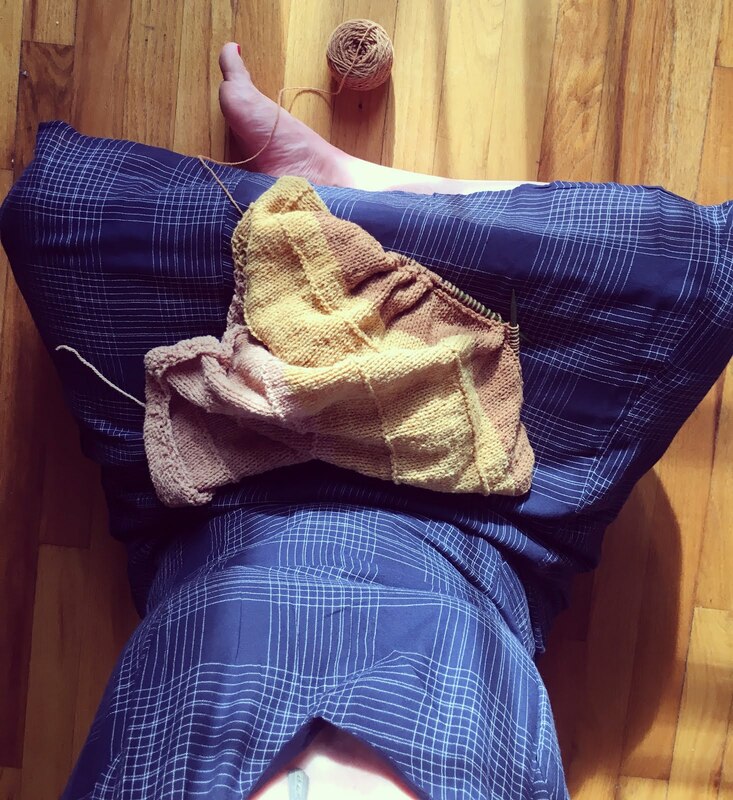 You bet my needles were stopped during that run! It does seem as though Christmas is barely out the door and our American commercial senses are overloaded with images of spring. Valentines Day is snuck in there, but it makes it a bit harder to imagine that we still have several weeks of winter ahead of us before we can awaken our spring selves. Last week at the first of February, it is a time to celebrate mid-winter. This year there was also a pretty amazing celestial event of the Super Blue Blood moon happening right on the eve of the mid-winter celebrations. Since I did not do my best to pay attention I completely missed the lunar eclipse as I did not pay attention to my am vs pm- ugh. But in my new place of balancing expectations with traditions I rolled with it and ended up doing most of my mid-winter honoring yesterday. We had all been running at a pretty fast pace this last week and another round of this stubborn head and bronchial cold set in for my husband so we took it easy most of the weekend and canceled plans that had us in large social circles and preparing lots of shared food. It might have been super bowl Sunday but it was a little hybrid for us. We got a small snow shower for a couple hours which made me want to hunker down even more. We still had some wings, guacamole, and tacos; but I also made some oat Bannock bread that I had wanted to make for the first of February. 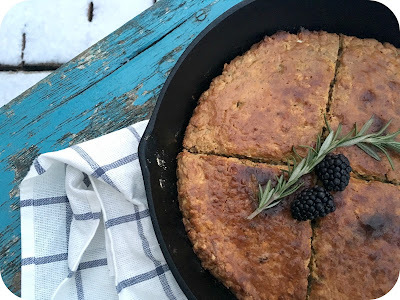 I used this recipe for an unleavened oat Bannock bread with rosemary. 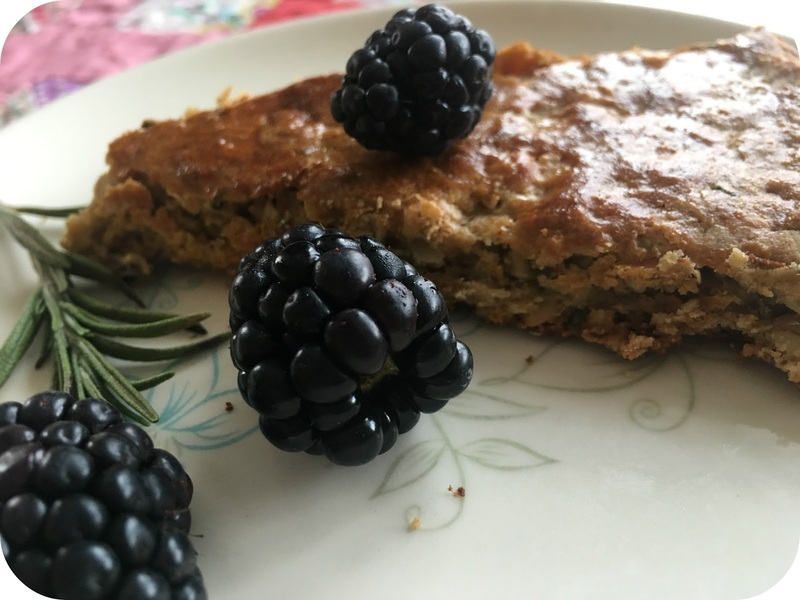 I really enjoyed it- I did tweak it a bit and replaced the refined sugar with honey and I did not sprinkle sugar on top of the caudle. In the future I would cut back at least half on the fresh rosemary, but the combination of the hearty rolled oats, oat flour, fresh orange zest, and rosemary was lovely. I served it with some fresh berries and coffee during the second half of the game last night that we watched in our cozy basement with candles lit. Where does knitting come into this? Often the mid-winter celebrations to Brigid/Brigit also involved honoring sheep as this is the time of the year when ewes begin to birth and lactating new milk. So I looked through my stash and found an awesome earthy Rowan Prelife British Sheep Boucle undyed yarn from my last Fiber Share swap and knit up a little rustic matt for our old magazine/bookshelf. 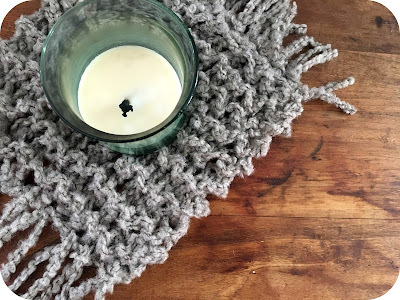 I used huge needles and knit up this sweet little square to go under the candle. I might need to grab a bit of sheep milk cheese just for good measure before the next snow comes in this week! I do love spring but am ready to embrace the last of winter in my home that we worked hard on remodeling. Plus there is the huge bonus of the Winter Olympics starting this week- I finally decided on my olympic knitting project- now to make final decision on which yarn to use!